In recent years, kratom has become popular as a treatment for chronic or acute pain as well as mood conditions such as depression and anxiety. Today, the U.S. Food and Drug Administration took new steps as part of its broader efforts to address the opioid crisis by approving the final Opioid Analgesic Risk Evaluation and Mitigation Strategy. It's been more than two years since the National Institutes of Health released its National Pain Strategy, a comprehensive population health-level strategy for pain, and a year since announcing its Federal Pain Strategy, a long-term strategic plan for pain research. Before surgeon Emily Penman, M.D., begins a mastectomy or lumpectomy, her lightly sedated patient receives a nerve block, an injection of medicine to control pain after surgery. A University of Texas at Arlington professor led a federal advisory group that has published its recommendations on the prevention of acute and chronic pain to the Federal Research Pain Strategy, an interagency committee that oversees the government's long-term strategic plan to support pain research. 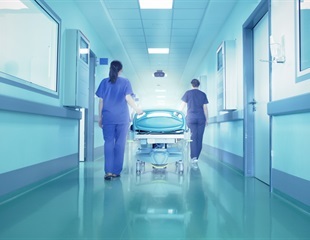 A Johns Hopkins expert panel of health care providers and patients have announced what is, to their knowledge, the nation's first set of operation-specific opioid prescribing guidelines. Opioids are commonly prescribed in the emergency department for the treatment of acute pain, but due to the epidemic of opioid misuse, analgesic alternatives are being explored. What's the right painkiller prescription to send home with a patient after gallbladder surgery or a cesarean section? Alcohol dependence, and opiate, cocaine and other stimulant addictions, are all diseases of the brain that have behavioral manifestations and they are not due to criminal behavior alone or to antisocial or "weak" personality disorders. A new study published in the Journal of Music Therapy reveals promising findings for the application of improvisational music therapy in assuaging the multidimensional acute pain of adult patients with sickle cell disease. In a new study that examined living kidney donors' concerns about their decision to undergo kidney removal, long-term kidney health, aspects of surgery and recovery, and impacts on life satisfaction were among those that donors felt were most important. When people are injured, how does the brain adapt the body’s movements to help avoid pain? New research published in The Journal of Physiology investigates this question.